Simpson Millar LLP Solicitors offer free initial advice to those who suffer illness on holiday or have been party to an outbreak at a hotel abroad. We can help you claim compensation if your holiday was ruined by food poisoning or another illness. Thinking about making a holiday illness claim? 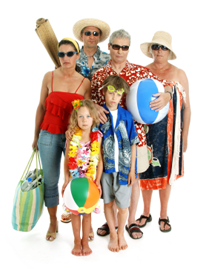 Want to know more about claiming holiday compensation? Annoyed at the way your tour operator has treated you? Why do people fall ill on holiday? When travelling abroad hygiene standards are not always as high as in the UK and therefore it is easier to pick up a bug. The most common cause of illness abroad is food poisoning, closely followed by sickness due to dirty water. In developing countries, sanitation, water supplies, and sewage disposal may not be sufficient. Package holidays are protected by the Package Travel Regulations 1992. This means that the tour operator is responsible for making sure that your hotel complies with safety standards and that the services performed including supplying food and drinks are delivered with care and skill. If you fall ill because of food poisoning or you have been sick because the hotel's swimming pool was contaminated then your tour operator is liable. Does it matter that I suffered illness abroad? No, the Package Travel Regulations 1992 mean you can pursue your claim in the UK against your tour operator regardless of where you were when you fell ill abroad. You are entitled to claim an amount which is assessed according to how long you have been sick. You can also claim the cost of your ruined holiday and any out of pocket expenses you have incurred and financial losses such as lost earnings. How much does it cost to make a holiday illness claim? If you do not have insurance or any other pre-arranged means of funding your claim we accept claims on a 'No Win No Fee' paying basis. Most holiday illness claims are settled inside 12 months. However, this depends on the tour operator and the complexity of your illness. Our Holiday Claims Specialists comprise of individuals who between them have more than 30 years of experience working for the major UK tour operators so know what’s necessary to be successful with your compensation claim. 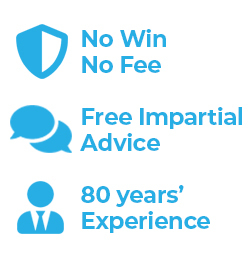 With Holiday Compensation Lawyers nationwide you get the support of a leading national law firm and all the benefits that more than 150 years of helping clients can give.